Fixed braces are the most commonly used form of orthodontic treatment and are made from brackets and wires that gradually align teeth. Traditional fixed braces can be used for most orthodontic problems and treatment typically takes between 12 and 36 months. Invisible braces such as Invisalign, Clearstep and Simpli5 are a great solution for image-conscious patients. All these systems use clear aligners or positioners that are removable and virtually invisible to others. The Inman Aligner is a removable teeth straightening appliance which straightens teeth by means of forces created by a metal bar and a coiled spring. Results are visible almost immediately and most cases are complete within 16-20 weeks. 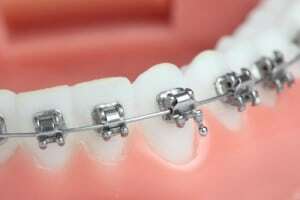 Lingual braces are fixed braces that are applied to the back of the teeth. The major advantage of the braces is that they are hidden when you smile. Contacting dhealth Dentistry in Melbourne for adults and kids couldn’t be easier.